The Chevrolet Vortec series started its long production run in the 1980s. Both the Chevy and GMC lineups use this V6 engine base for many vehicles. Because this engine is versatile, General Motors was able to supply its van, Blazer and truck series with this V6 variant. 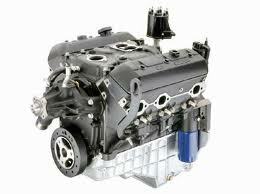 You can find the 4.3 L V6 crate engine for sale on this website at drastically reduced prices. The reason the prices are so low is our company is the sole builder and can discount the total price apart from the MSRP price here at www.crateengines.co. Many customers in the United States and Canada use this online resource to find various Chevrolet motors ready for install. This includes project car builders, junkyards and mechanics searching for discount of motors that are true OEM builds. The 4.3 Vortec series built here conforms to all Chevrolet technologies and no modifications are ever made to the internal components or horsepower. Buying crate engines can be one of the easiest things if you know how to do it correctly. Our team is comprised of automotive specialists ready to help you with the V6 purchase that you need. Any company can build a crate engine. The manufacturing processes have changed very little through the decades since the GM performance series has been released to the public. What has changed is the equipment and tools that are used to prove that a build is OEM quality when completed. Use of dyno testing is one way that our builders can verify the quality of each rebuild daily. The measurements and calibration that this testing device provides allows easy comparison to GM data before customer shipment. Rebuilding the Vortec series is just one of the brands that are completed by our specialists daily. Buying a crate motor without warranty can be a recipe for disaster. There are plenty of eBay sellers currently selling less than desirable motors built by non-professionals. One of the ways that we raise quality aside from calibration testing is with attachments of a warranty. 36 months is the limit of time that our company provides after purchase and installation is made. The coverage that is provided through this warranty protects not only the build but the parts. This is one of the largest warranties that can be found from a secondary market seller. We take customer service very seriously when we are selected to build and distribute GM and other brand motors from our company. There is no hard work involved in obtaining the pricing that we offer here. It only takes a quick toll-free phone call to a member of our team to get one of the lowest prices ever found for a GM crate engine. Our website even distributes pricing online. Any person at any time can use the system to learn pricing, warranty information and shipment details for any in stock motor. Questions can always be answered by making direct contact with our specialists.